Cybercrime has rapidly evolved, and not for the better. 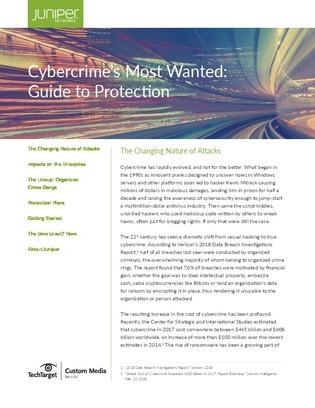 The 21st century has seen a dramatic shift from casual hacking to true cybercrime. According to Verizon’s 2018 Data Breach Investigations Report, half of all breaches last year were conducted by organized criminals, the overwhelming majority of whom belong to organized crime rings. Since these cybercriminals are already integrating artificial intelligence, machine learning and automation into their attacks, enterprises must take the same stance to defend themselves. Fortunately, there are tools today to help.